The art of counseling is practiced in many settings. An uncle counsels a troubled niece. A licensed professional clinical counselor (LPCC) works in a treatment center for drug addicts. A counselor can also be everything in between the two. If you consider everyone who mentors another--from life-coaches to police officers to wedding planners to lawyers to intimate friends--counseling includes all of us. 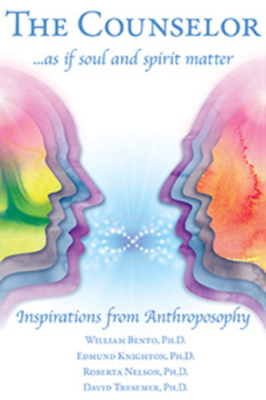 Whereas mainstream counseling psychology has been moving increasingly toward cognitive and pharmacological approaches, this book brings us back to a psychology of soul and spirit. Through the guidance of Anthroposophy, the becoming human being, and Sophia, and divine wisdom, counselors will rediscover here an approach to people that has the heart of soul, and the light of spirit.